iPhone 5SE is a little beauty from Apple with gigantic potential. It is the soul of iPhone 6s in the body of iPhone 5s with little exceptions and more importantly available in less than £500. Since its launch in March 2016, it has gained popularity among Apple users. 4in display with a resolution of 1,136 x 640. 1.2-megapixel front camera and 12 megapixels back camera with true tone flash. [email protected] video recording quality. Apple A9 chipset with 2gb ram. iOS 9.3.2 with compatible upgrade up to iOS 10. Li-Po 1624 mAh battery with 14 hours talk time on 3G. Distortion in sound when using Bluetooth. Battery consumption quicker than expected. Yellow tint around the edges of the screen. Not pairing with Apple watch. Does your have phone has any of the highlighted issues? Tell us where you are right now? At home or office? Give iRepairMan few precious minutes from your time and our experienced DBS cleared technicians will fix all issues with your phone at time and place that is feasible to you. Touch problems on the screen. Charging jack repair or change. iOS issues regarding the update and connecting to iTunes. Fix dead or blank screen phones. Contact our iTech customer service through email, phone or online form that is available on our website. 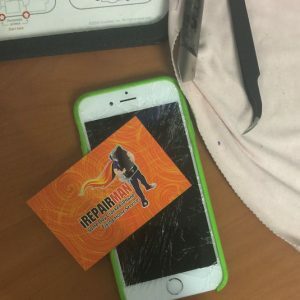 Our skilled technician looking after your neighborhood will get in touch with you in an hour and will arrange a meeting according to your feasibility to get your device repaired. So, iRepairMan’s iTech will be there at the decided time and place and will get your phone back on the track within half and hour. Now the payment step. Pay with cash or via card to our technician. We also offer one year warranty with all services, which is the main distinguishing feature of our services. You will be convinced to become our customer because it will be something more than convenient. Our time is saving and high quality certified technician care will be light in your pocket as well. You can also check comments of the people who got engaged with us to get their gadgets fixed. So if you are in London city and have any issue regarding your phone, it is not your headache anymore. Just send an email at [email protected] or send a text or call at 07506011774.